Urban pop star follows up Rihanna Wireless slot and Isle Of Wight Festival with October shows, tickets on sale Friday 8th june at 9am. Young Timothy McKenzie has certainly proved one point - he can go it alone without clinging to anyone's hoodie-cords. The urban-grime-pop rapper and producer may have been signed to Simon Cowell's Syco imprint a couple of years ago but, apart from the usual heavy hype-machine to get the balls rolling in his favour, Labrinth has broken out of humble Stoke Newington and into the glitzy world of charts, music-channels, award-ceremonies and sharing stages with the likes of Rihanna and Jessie J. Them's the breaks. Talking of breaks - racking up a #1 single at the first attempt isn't too shabby either. Co-written and produced with grimy chum Tinie Tempah, "Pass Out" didn't feature Labrinth's name all over the sleeve, yet it had his creative paws all over it. The pair continued their collaborative stupor with the insanely perky "Frisky", before Labrinth himself inked a deal with Cowell but NOT via X Factor or any other reality-show linked with the mogul. Not surprisingly, his image has appeared in pretty much every magazine, on every blog and at several festivals, which will continue unabated throughout the summer. Rihanna has enlisted him as a support act for her Wireless Festival show in Hyde Park on 8th July while the prior Isle of Wight Festival will include him on 22nd June. 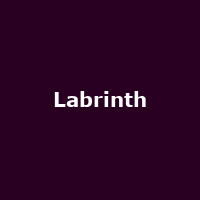 With his debut album "Electronic Earth" already bothering the top end of the Album Chart, it's time for the next phase of the Labrinth takeover - it's time for a full headlining UK tour. The first port of call for 'Lab' in October will be Bristol on the 17th, followed by Bournemouth, Brixton, Norwich and more until Newcastle on the 28th. We will have tickets on sale from 9am on Friday 8th June.